Lincolniana is Abraham Lincoln memorabilia and ephemera in a variety of formats, ranging from the serious and scholarly, to the outright silly and satirical. 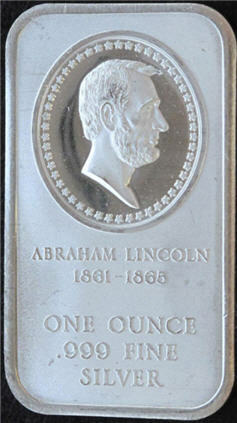 Here are some Lincoln collectibles in the category: "Silver Bars." A variety of silver bars commemorate Abraham Lincoln events and anniversaries, as well as companies and groups named in his honor. These include myriad cameos and portraits. The Lincoln National Life Company's Lincoln Museum (formerly of Ft. Wayne, Indiana), announced in 1972, that it had acquired a pure silver bar (ingot) with the firm name "Lincoln Mining Company." 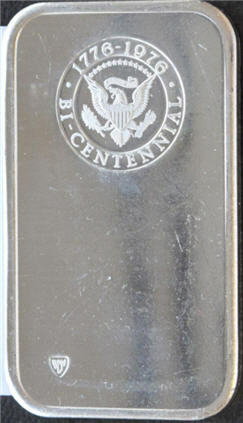 The 3-ounce silver bar is .999 fine, dated 1970. The announcement from the Lincoln Museum indicated that the silver bar could be obtained from Foster, Inc., 7 South 2nd, Walla Walla, WA 99362. 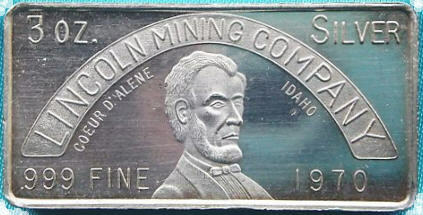 The front bears the image of Abraham Lincoln in three-quarters profile, with the inscription "Lincoln Mining Company, Coeur D'Alene, Idaho." 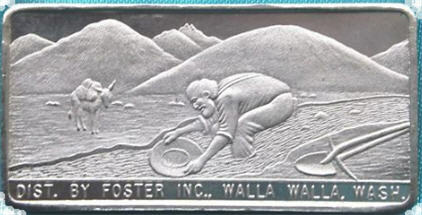 The back of the silver bar shows a prospector panning for ore, his burro looking anxiously at his activities and hoping for the best. Two of these Lincoln Mining Company 3-oz. 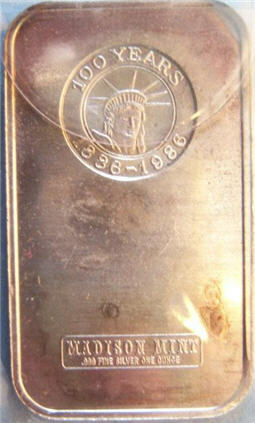 silver bars were listed in February 2011, in back-to-back eBay auctions by the same seller. Serial number 947 ended at $141.42, and the following week, serial number 2881 ended at $155.09. During this period, the spot price for silver was between $29 and $31 per ounce. 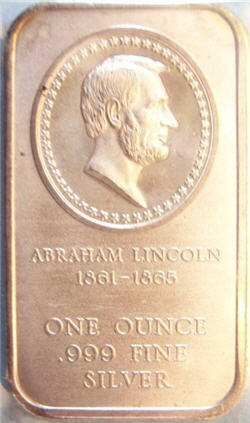 A more common silver bar depicting Abraham Lincoln shows a right-facing profile of Lincoln, with a facimile of his signature under the portrait. Inscribed on the front is "One Ounce Pure Silver .999 Fine." These silver ingots were made by the Madison Mint (catalog number MAD-18) in 1972, and may or may not include a serial number on the front. The back side of the silver bar is blank. Madison Mint made a series of silver bars in the Bicentennial Set of Presidential Cameos featuring 37 presidents from George Washington to Gerald Ford. 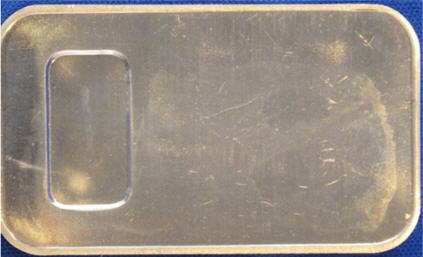 The bar featuring Abraham Lincoln (catalog number MAD-60V4) shows Lincoln facing right in the profile shown on the front, surrounded by 50 stars. 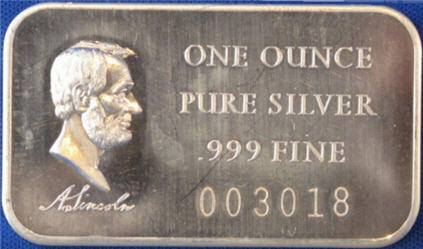 Inscribed is, "ABRAHAM LINCOLN 1861-1865, One Ounce, .999 Fine Silver." The back is stamped with the seal of the United States and inscribed with "1776-1976 Bi-Centennial." There is also a Madison Mint edition of a silver bar of the same design on the front, but with the stamp of an image of the Statue of Liberty on the back, with the inscription, "100 Years, 1886-1986." Copyright © 2005-2011 Alta Omnimedia. All Rights Reserved.